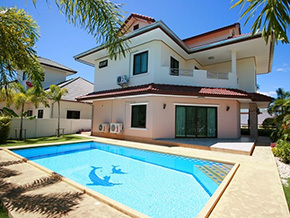 Hua Hin Property developments is a website bought to you by Hua Hin Property Solutions. 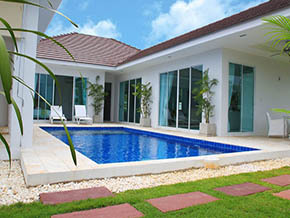 Featuring only the best off-plan, brand new development projects in the Hua Hin, Cha Am and Pranburi area. 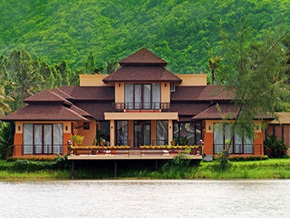 With a combined experience of over 20 years in the Hua Hin and Thailand Real Estate Market you won’t find a more suitable and professional company to introduce you to only the finest new villa developments in the area. We work very closely with all the major developers and our website is kept fully up to date, please feel free to book your viewings with us anytime ! 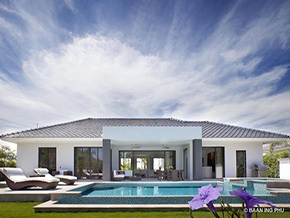 Why buy off-plan ? 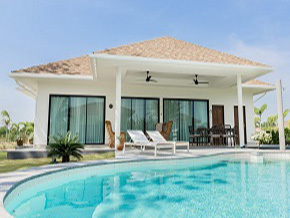 Not only are you buying your dream home in the Tropics here in Hua Hin but a brand new home, built to your own requirements and fully furnished to your own specific taste ! 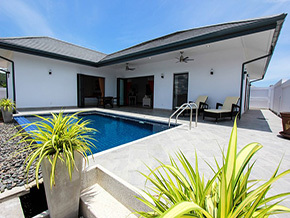 A villa built using all the most up to date techniques and standards with only the very best quality materials. 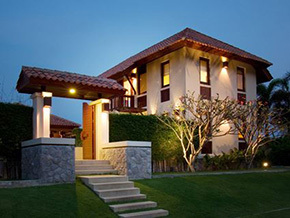 All of the developments we represent are established companies with a long track record of building quality homes for our mostly Western based clientele who expect only the best for their money. Buying off-plan with a reputable developer also gives you the opportunity to spread your payments out during the build process meaning you don’t have to come up with the cash all at once and are only paying the developer upon construction milestones. 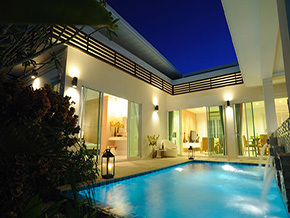 You are also buying into a brand new development where your investment is growing year in year out.